Register soon, as they are expecting a large number of attendees. of the 9th Annual New York State Fall Veterinary Conference, September 30 - October 2, 2016. For the first time ever, this exciting event will be held right here in Ithaca, NY. This symposium will have two tracks running simultaneously with one track more directed toward veterinarians and the other featuring topics pertinent to all donkey enthusiasts. Both tracks are open to any Donkey Welfare Symposium or NYS-VC full conference registrant. Donkeys from Peaceful Valley Donkey Rescue will be on site and available for various labs and hands-on demonstrations throughout the event. Donnette Hicks, Sage Creek Equestrian of Heber City, UT, describes the challenge as the "highest scores going to the horse and rider team that shows the strongest 'willing partnership'. Its aim is to educate and inform by having both domestic equine and mustang come together in a friendly competition to showcase the usability and needs of America's wild-born horses." There are three divisions of the contest. 1. Impact of the Horse Mustang vs Domestic: A friendly competition between seasoned Domestics and the Mustang. Day one (Friday, November 11th) is a rugged mountain trail class. Day two (Saturday, November 12) top 5 Domestics and top 5 Mustangs come together for a freestyle championship. 2. 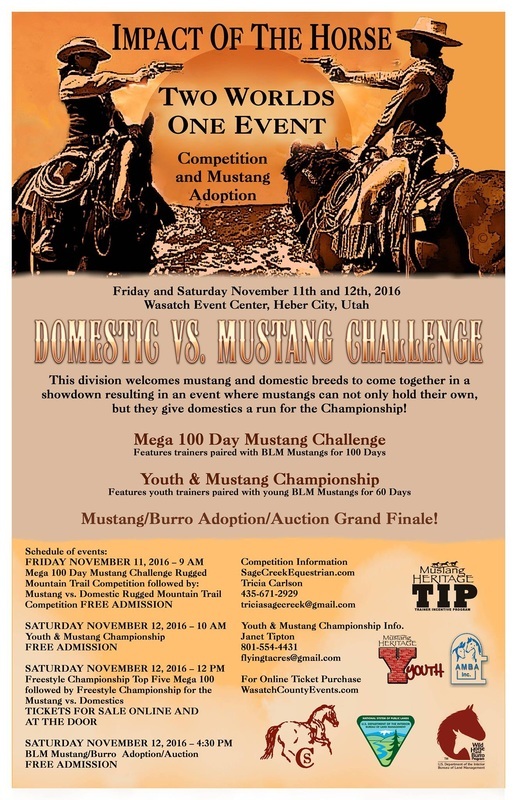 The 100 Day Mega Impact Division: A group of trainers will have drawn for them ten five-year -old Mustangs and have 90 Days to prepare for day one ( Friday, November 11th ) a rugged mountain trail class. Day two (Saturday, November 12th) a top five enter the freestyle championship. 3. Youth and Yearling Division: Ten Mustang yearlings will be drawn for our youth division these competitors have 60 days to get ready for their championship freestyle class on Saturday, November 11th 2016. Click on above for a printable file of this event. Put this one on the calendar for October! I know you think October is far away, but it will be here before you know it - you don't want to forget about this exciting opportunity! Benefit Camp and Ride Weekend. 4 days / 3 nights, campsite, 10 meals, and 6 guided trail rides in three beautiful locations: Mohawk State Forest in Goshen, CT; White Memorial Foundation in Litchfield, CT; and Steep Rock Preservation in Washington, CT. Options available for attending Thu - Sun, Fri - Sun, Sat - Sun or Sunday only. For contact information see listing below in Calendar of Events. For a printable flyer including detailed information click on either logo above. The Extreme Mustang Makeover is returning to Massachusetts in the summer of 2016! 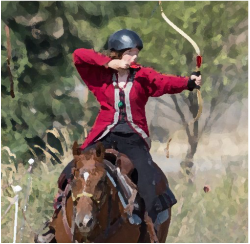 This wild horse training competition will offer two divisions: Youth, ages 8-17, can compete with a mustang they adopt in-hand and adults, ages 18 and over, will ride their assigned mustang in preliminary classes to compete for a spot in the top 10 freestyle finals. This event will award $25,000 in cash and prizes. All adult mustangs will be available for adoption after the event. The Extreme Mustang Makeover will travel to Virginia in the summer of 2016! This wild horse training competition will offer two divisions: Youth, ages 8-17, will compete with a mustang they adopt in-hand and adults, ages 18 and over, will ride their assigned mustang in preliminary classes to compete for a spot in the top 10 freestyle finals. This event will award $25,000 in cash and prizes. 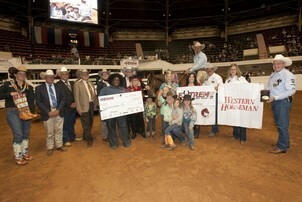 All adult mustangs will be available for adoption after the event by competitive bid. 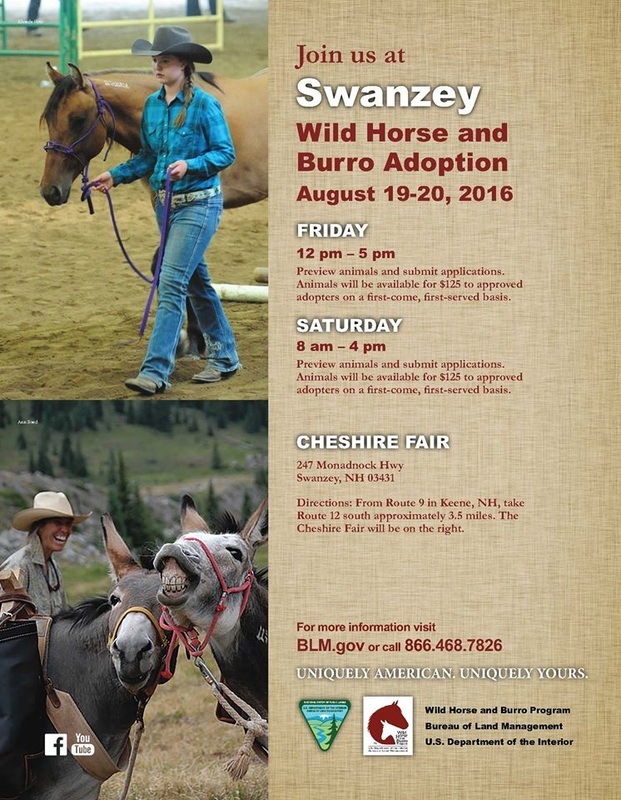 Bureau of Land Management representatives will be on site to approve interested adopters. 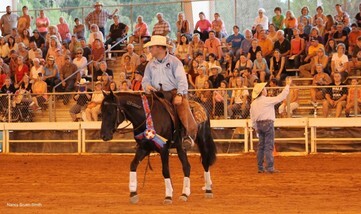 Join us in Fort Worth for the annual wild horse training event, the Extreme Mustang Makeover! 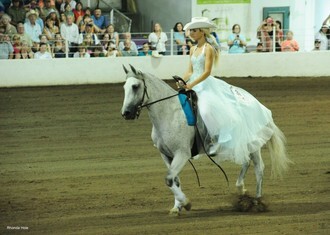 Horsemen and women will showcase the skills of wild Mustangs they have trained and gentled for 100 days! All adult competing Mustangs will be available for adoption Saturday, as well as a nice selection of untrained Mustangs throughout the weekend. 2016 event info coming soon! Samantha Szesciorka and her adopted wild mustang, Sage, begin their journey of the Nevada Discovery Ride. Samantha and Sage are hitting the trail once again to promote wild horses and encourage people to consider adoption.